WELCOME TO VINES PLUMBING & WATER RESTORATION! 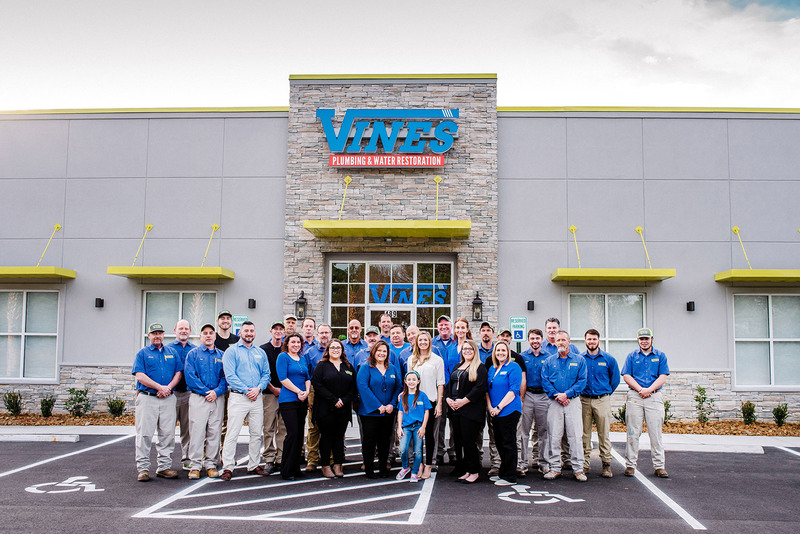 In business since 1980, Vines Plumbing & Water Restoration has been serving residents and business owners in Myrtle Beach, offering them the best in plumbing. As a company with over 130 years of combined experience, we make sure you are completely satisfied with the residential, commercial or industrial work we do. Every plumber we employ is licensed, and we are insured with upfront pricing, fast service and quality work you can rely on. Because you might need a contractor at inconvenient hours, we offer 24/7 service. Leaky faucets and clogged sewer pipes can be a nightmare in your home. Vines Plumbing & Water Restorationhas the expertise to handle any and all of your plumbing issues. With 24/7 emergency services, there’s no need to worry when the bathroom floods after business hours. There are many situations where water is the cause of damage to your home or business. The damage may come from your washing machine, dishwasher, sink or toilet, or even a natural disaster. Water damage can happen anytime and anywhere and can be devastating. Owned and operated by our family for more than three decades, at Vines, we offer a variety of services for total plumbing care. We work with residential customers, as well as commercial and industrial companies in Georgetown and Horry counties in South Carolina. We are insured for your peace of mind, and we are a state-licensed master plumber in South Carolina. We offer whole-house repairs, fast service, upfront pricing, sewer and drain cleaning, and water-restoration services. Whether you have a clogged bathtub, have discovered mold in the basement, are looking to replace pipes or suspect sewer pipe damage, we’ve got you covered. It was great! The gentlemen Hunter was really nice and works really hard! Michael Stefans was fabulous and customer service and response time were awesome - gal on phone very personable and so sweet! Pretty sure her name was Tracy!! They are the best! Years of service. Reliable, so much experience. Family owned. You simply can’t predict and fully prepare for plumbing emergencies. When one arises, you know who to call. At Vines, we are available at any time on any given day. 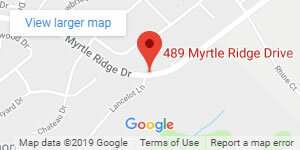 Whether you have a broken pipe and need a future flood prevented or are in the middle of a flood already, give us a call and we’ll be right over. We have 24-hour service available. Our quick response time helps you get your home back to normal as soon as you possibly can. Do I really need a skilled plumber to come to my home to fix a leaky faucet or clear a clogged drain? A: Yes! You may not know everything that a plumber knows. Plumbers are highly skilled and versatile craftsmen. They can install and repair pipes and plumbing fixtures, diagnose clogged drains and solve all problems related to water systems in your building. Do-it-yourself solutions are great when they work, but your insurance policy may not cover flood losses if you make a mistake. The thing that sets our plumbers apart from the competition is our dedication to continued training and education in the latest plumbing techniques and tools. This enables us to do better work for our customers. Our plumbers receive technical training, but we are also the undisputed leaders in customer-service training. This means you are guaranteed a courteous, professional and friendly plumber at your door every time! A: Instant hot water is a system that circulates hot water in your home. It is designed so that when you open a faucet, warm water is there immediately. There is no need to run water down the drain waiting for hot water to arrive. Did you know that hot-water recirculation systems save water, energy and money? On average, a family of four wastes up to 17,000 gallons of water per year just waiting for hot water to arrive. A hot-water recirculation system eliminates waste and provides the convenience of instant hot water. But you don’t need a newly built home to benefit from the advantages of one of these systems. There are under-the-sink retrofit systems designed for use in existing homes, with which Vines Plumbing & Water Restoration can assist you. How do I unjam my garbage disposal? A: You may be able to insert an Allen wrench into the bottom of the disposal and crank it to help dislodge the material causing the jam. If this doesn’t work, don’t use the disposal! You could cause serious damage to the disposal motor or even to your home’s electrical system. Plumbing professionals can usually fix a jammed garbage disposal. If we can’t, then the unit will probably need to be replaced. Our expert technicians can give you the best advice and make quick work of it to get you grinding again! A: There are several things that could cause low water pressure, including a partially closed or malfunctioning shut-off valve, a crimped water line or deposits that gather in older galvanized pipes. If your neighbors have strong water pressure, the problem is most likely somewhere between the water meter and your home. A qualified plumbing technician from Vines Plumbing & Water Restoration will be able to identify the problem and explain your options. Can I install a new sink or plumbing fixture in my home, or is this something best left to the professionals? A: Many homeowners are capable of handling these kinds of jobs by themselves. Some of the bigger home centers even show you how. However, our experience has shown that some projects are better left to the professionals. Yes, we’ve gotten more than a few calls from distressed customers who are stuck in the middle of a project, and Vines Plumbing & Water Restoration can help you. A: A broken water line out in the yard may mean an excessively high water bill, puddles in your yard or the sound of running water when no faucets or appliances are using water. Using our video camera drain-inspection technology, we can see inside your pipes. This means we can pinpoint the problem without destructive trial-and-error methods that wreck your pipes and lawn. In many cases, we can fix the problem right away and save you money. If I need rooter service, do I have to call one of those national rooter chains? A: No. We would recommend that you call a qualified, trained and certified plumber. Why? The water pipes inside and outside your home can be very delicate. Some styles of older pipes have significantly shorter life spans. In an older home, pipes wear thin from the inside out, making them appear sound when, in fact, they are very brittle. An unqualified and unskilled rooter company could cause extensive damage to your pipes and your home. The highly trained and certified technicians from Vines Plumbing & Water Restoration will take the time to properly diagnose the problem and use the right tools and techniques to solve the issue. With our video technology, we can even show you the problem before the repair even begins. If a pipe breaks or another unforeseen problem arises after we begin work, our expert plumbers can take immediate corrective action. Can the other guys do the same? We’re not sure – and we don’t recommend that you take a chance. Is there really a difference between hard water and soft water? A: Yes. In fact, the difference can be damaging to your home and your body. Have your clothes been damaged during laundering? Have you noticed excessive soap consumption, pipe scaling, faucet and fixture deterioration, skin problems or undesirable tastes or odors in your water? If so, then you have a water problem. 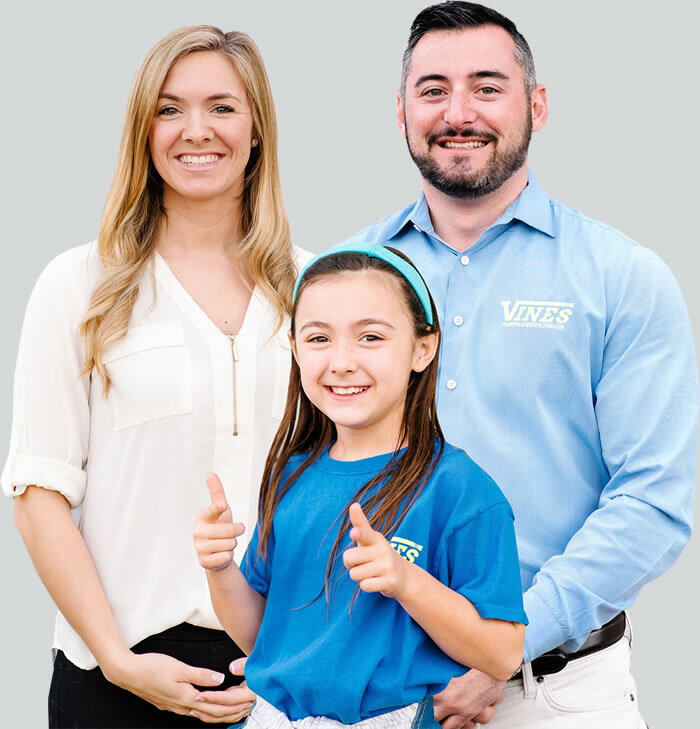 Vines Plumbing & Water Restoration can install a soft-water system in your home that will provide you with soft water for cleaning and bathing, while simultaneously solving your cooking- and drinking-water problems. You will feel and taste the difference!